David Conn’s excellent piece from The Guardian on the rise of Swansea is definitely worth a read. You can find it here and I will draw now a parallel. Using less words and a large number of spelling and grammar mistakes, I’d like to offer you the story of Petrolul Ploiesti, one I know in detail, as we’re talking about the club from my home town. 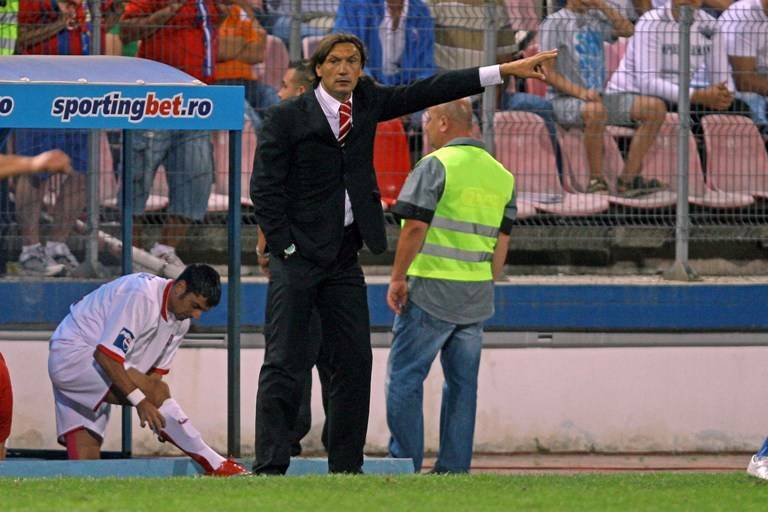 It all started years ago, when Liviu Luca, the leader of one of the biggest unions in Romania, got hold of the club without paying a dime, switching one day from sponsor to owner without anyone opposing what seemed like a natural move at that time. It was a good period for Petrolul, who had just won their last domestic trophy, the Romanian Cup. Years went by and during a season that saw the team finish the first half in second place just to give up the fight in the spring, “offering” points to all those in need, it became clear that sporting success is not among the owners’ priorities. Luca, just like Ninth Floor did with Swansea, publicly asked for 1 US Dollar to give up the club, at a meeting with the local journalists. The owner of a newspaper, now running for mayor in Ploiesti, Iulian Badescu, wrote a letter of intent that very day and presented an official offer. 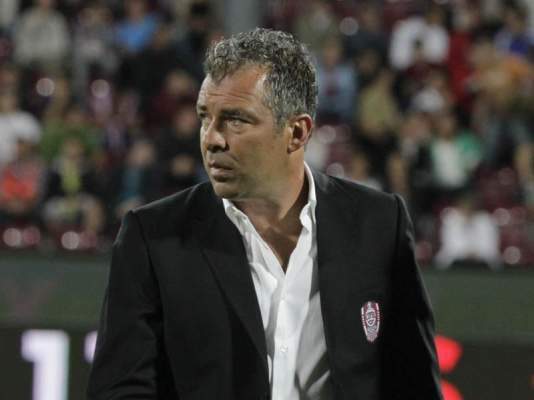 Of course, Luca (who once asked his players to fix a match, having a gun on the table!) 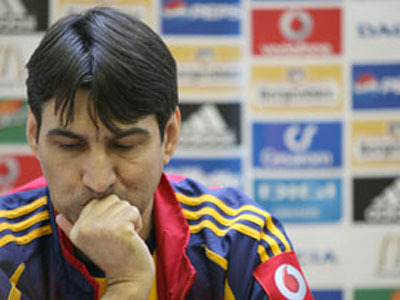 was bluffing and the club remained one of the means to use the union’s money in a way that, in the end, got him in trouble with the law… Bad call for Luca, worse for Petrolul, whose fans had to wait for years to see once again a glimmer of hope when another journalist, Dragos Patraru (my cousin and best friend), initiated a local movement called “Petrolul e al nostru” (Petrolul is ours), hoping to get the club back from the current shareholders and offer it back to the city. Over 15.000 signatures (in a city with a population below 200.000) were raised with the help of enthusiastic fans who took the streets every day for weeks and the Local Council was forced to discuss the possibility of acquiring back the club. Getting together incredibly rich union leaders with desperate for votes and money politicians wasn’t the best idea though, but everyone, including those who supported the movement with their signatures and efforts, refused the suggestion to start from scratch and build a new, solid structure, taking only the club’s name from the current owners and cutting all the other strings. They wanted first division football, as quickly as possible. So, the two parties shook hands and… became best friends. 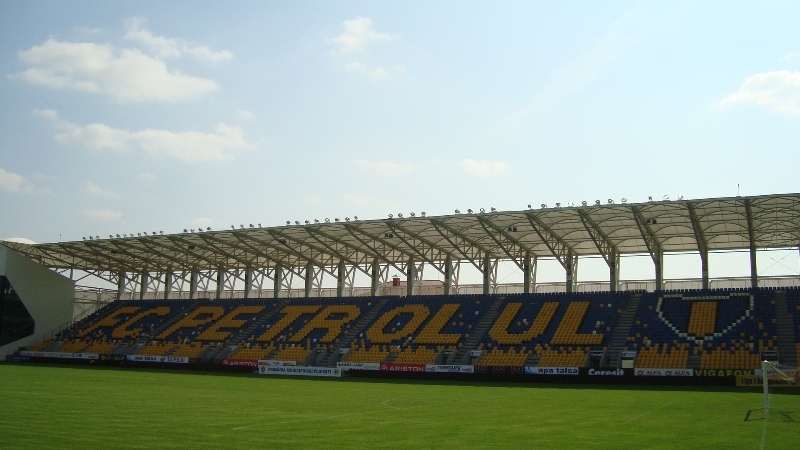 Just like Swansea, Petrolul can play on a new, modern stadium, thanks to the Local Council. The yellow and blue outfit, in the current setup and ownership uncertainty, looks once again doomed. The club might avoid relegation, but unless a radical change takes place and a new, solid foundation is laid, will lose the fight with the mediocrity that comes with sheer amateurism. Too bad for the idea and the fans that were the force able to move things, the pressure firmly applied on the politicians who ran the city and Petrolul’s true engine that helped the three times Romanian champions climb back from the third division to the top flight. The supporters who were promised to have a say have been tricked. Those loyal and influential were offered jobs within the club, giving up the idea of having a representative in the club’s board and act like a supervisor for the masses, ensuring nothing that could affect the club’s present and future stays behind closed doors. But who would want that to happen? Not a politician, nor a union leader who’s in serious trouble with the law or the dubious business man who has been trying to control things from a distance in the past couple of months, for the simple reason that he’s already the owner of another Liga I club. What makes the difference between Petrolul and Swansea? Simple: the Yellow Wolves are still being used by those who run the club, while the Swans are already used to running the club. Who said football is not about the fans anymore?